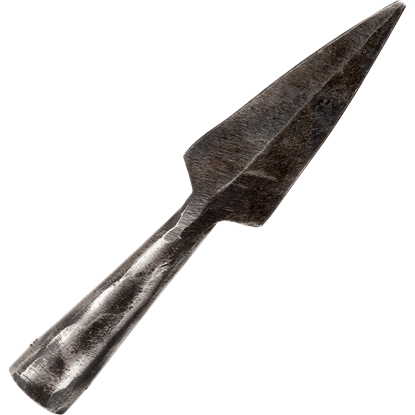 With a narrow, pointed construction, the Hengist Spear Head is ideally used for spears intended to be thrown or to keep enemies at bay from a distance. 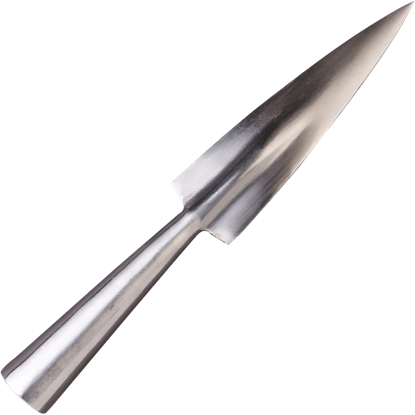 Made of high-quality polished steel, this spear head is versatile and sturdy. A spear is a daunting weapon, serving as a sturdy arm in a fight or a ranged weapon in a hunt. 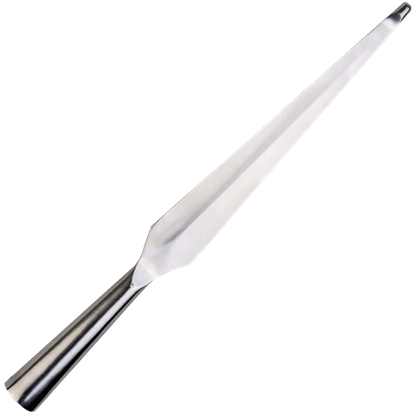 If you have one such noble weapon in your keeping, or if you plan to craft one, make sure its majesty is maintained with the Horsa Spear Head. 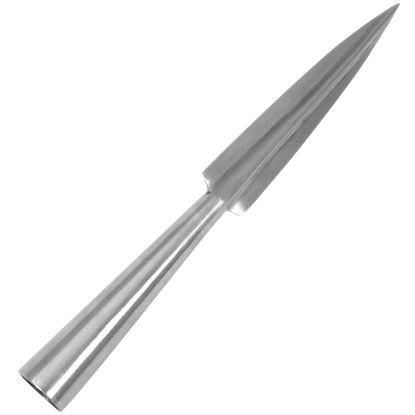 The Large Cederic Spear Head is long and slender, perfect for attacking from a distance with thrusts and throws, keeping enemies at bay. 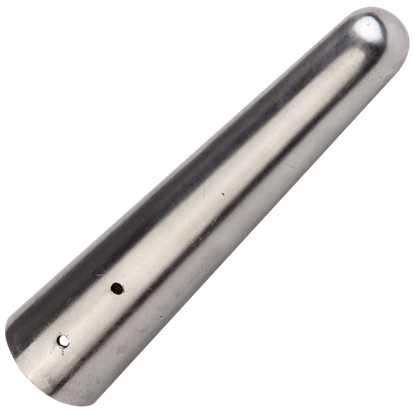 Featuring a safety tip, the end of this spearhead is blunted to prevent actual injury. The Small Cederic Spear Head is the more petite version of our Large Cederic Spear Head. Just as fierce in appearance, it features similar details on a smaller frame. With a blunted tip, this spearhead is for those who value safety. 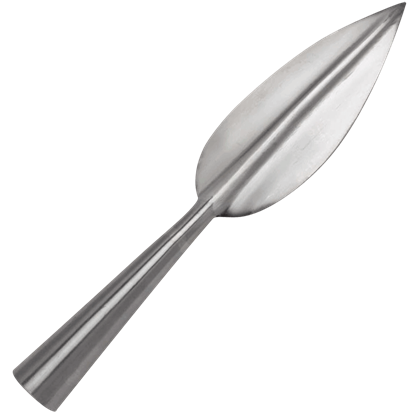 Craft your own throwing spear or pole weapon using the Small Spear Head. This historically styled spear head tapers to a point and has a central ridge, its hand forged construction resulting in a rugged, weathered appearance.